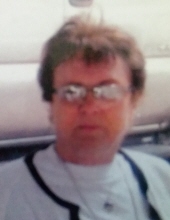 Carolyn Lee Adams, 74 of Menlo passed away on Thursday, April 4, 2019 at her home. Memorial service will be at 2 P.M. on Monday, April 8th at the Johnson Family Funeral Home in Stuart. Visitation will be one hour prior to the service at the funeral home. Memorial contributions may be directed to the Carolyn Adams Memorial Fund and may be sent in care of Johnson Family Funeral Home, PO Box 246, Stuart, IA 50250. Online condolences may be left at www.johnsonfamilyfuneralhome.com. (Professional services entrusted to Johnson Family Funeral Home – Stuart Chapel). Carolyn was born on April 28, 1944 to Howard and Virginia (Nelson) Caltrider in Adair, Iowa. As a child she lived west of Menlo and attended Menlo School where she excelled at basketball and was her Senior Class Vice-President. On September 14, 1962 she was united in marriage to Merrill Adams in Earlham. The couple lived and made their home in DeSoto briefly, until they built their new home on their farm north of Menlo where they remained their whole lives. To this union three children were born: Terry, Kristi, and Kevin. Carolyn liked to bowl and play cards. She loved to travel and camp. Carolyn and Merrill spent the winter months in Texas. Most of all she treasured time she could spend with her kids and grandkids. She was preceded in death by her parents, Howard and Virginia Caltrider. Carolyn leaves behind her loving husband of 56 years, Merrill; children: Terry (Dawn) Adams of Menlo, Kristi West of Yale, and Kevin (Brenda) Adams of Eagle Grove; eight grandchildren; 16 great-grandchildren and one more on the way; brothers, Gary (Donna) Caltrider of Menlo and Roger (Lynn) Caltrider of Casey and a host of extended family and friends that will miss her dearly. To send flowers or a remembrance gift to the family of Carolyn Lee Adams, please visit our Tribute Store. "Email Address" would like to share the life celebration of Carolyn Lee Adams. Click on the "link" to go to share a favorite memory or leave a condolence message for the family.